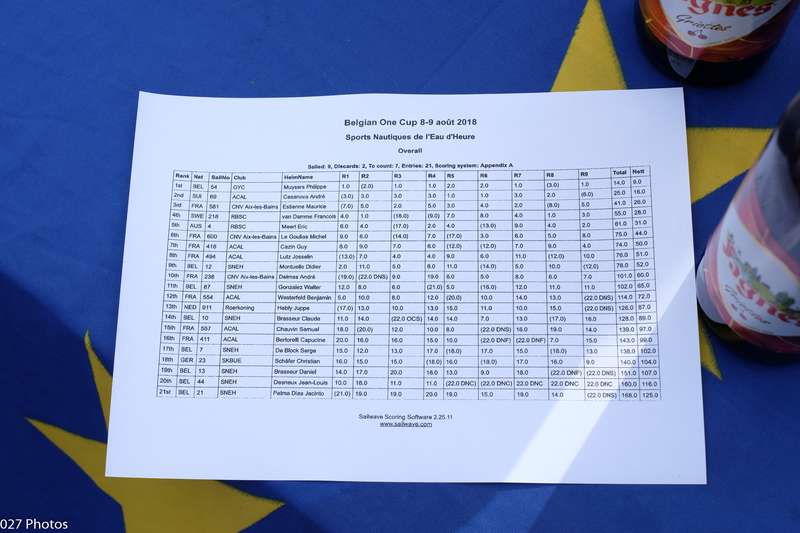 The second Nationals of the weekend was the Belgian. 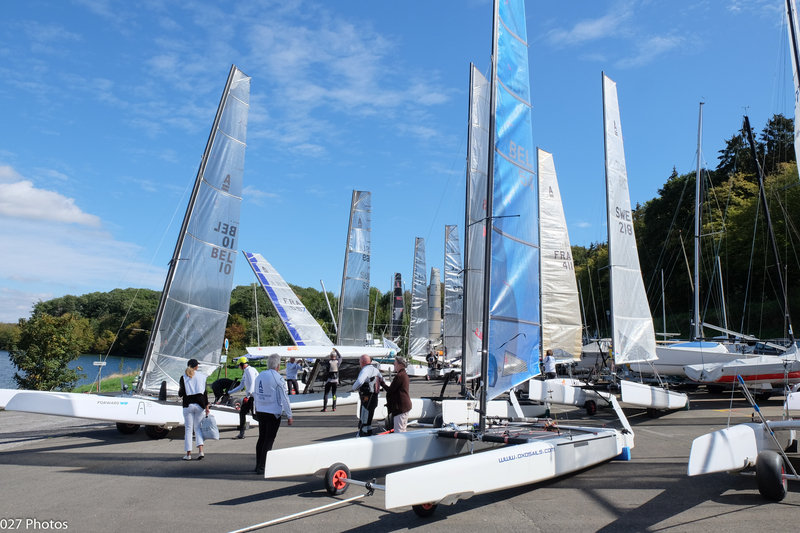 Some 21 sailors, mostly BEL and FRA, but with a couple of GER and NED boats joining the international party, racing was on the Eau D'heure Lake in the Southern French speaking region of the country. The wind was always on the lighter side, which suited the majority of the fleet as they were 80% Classic. 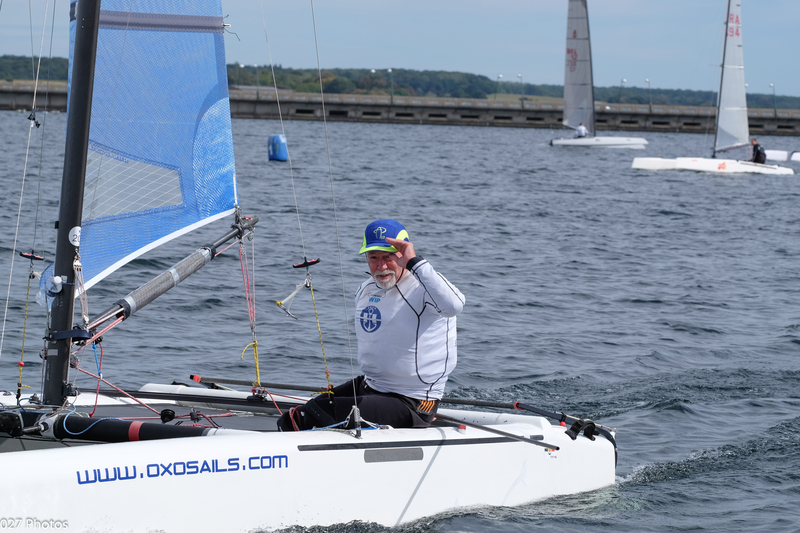 The 4 races on the Saturday were sailed in 8-9 kts with Phil Muysers getting 3 bullets and a 2nd to dominate the fleet. On shore, their friendly evening Minestrone meal, served by 'Obelix', named as such due to his resemblance to Asterix’s sidekick one assumes, and the obligatory accompianing Belgian Beers. 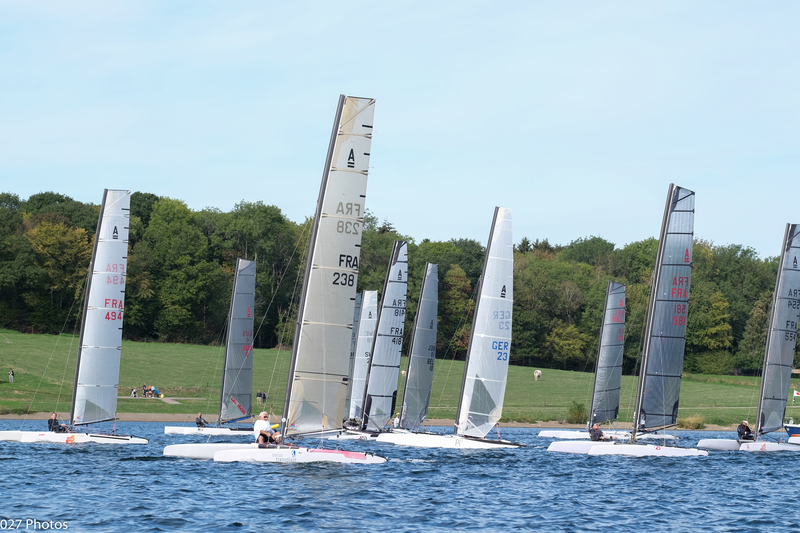 Sunday was hot and sunny, but the wind was only 4-7 kts for the remaining 5 races. Again, Phil dominated, but FRA sailor Andre Casanova tried his best to close the gap with 2 bullets on this technical lake. However, in the end Phil became BEL National Champion, Andre 2ndand FRA sailor Maurice Estienne in 3rd. 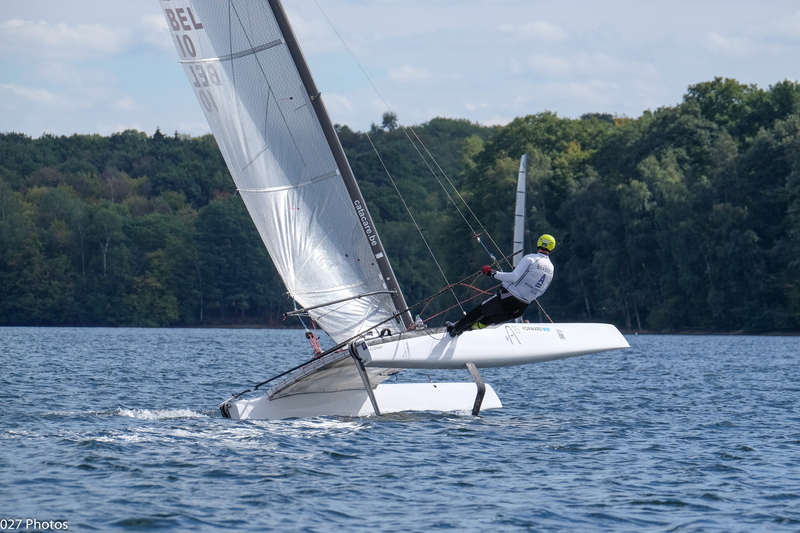 Next year the BEL Nationals will be on the sea, as they alternate each year. However, much friendship and enjoyment was had by all.